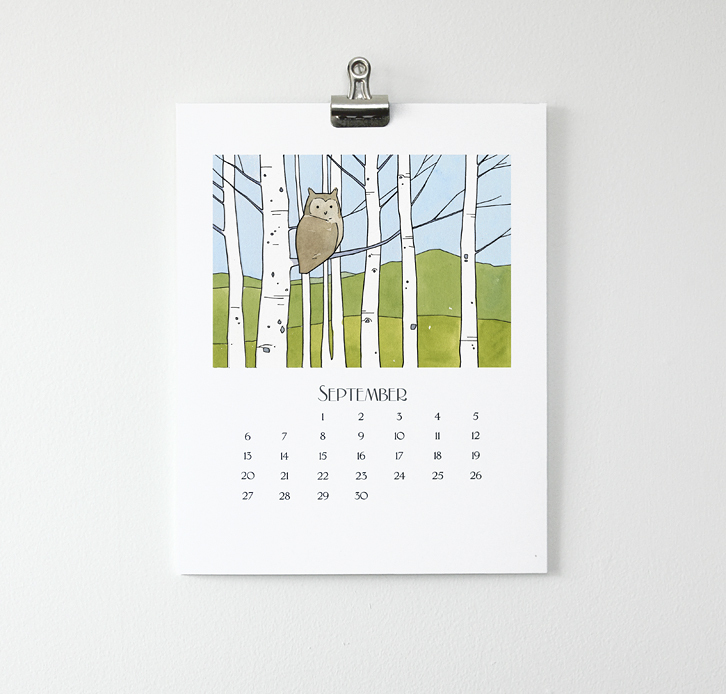 My 2016 owl calendar is now in the shop for pre order (will ship by October 30th). 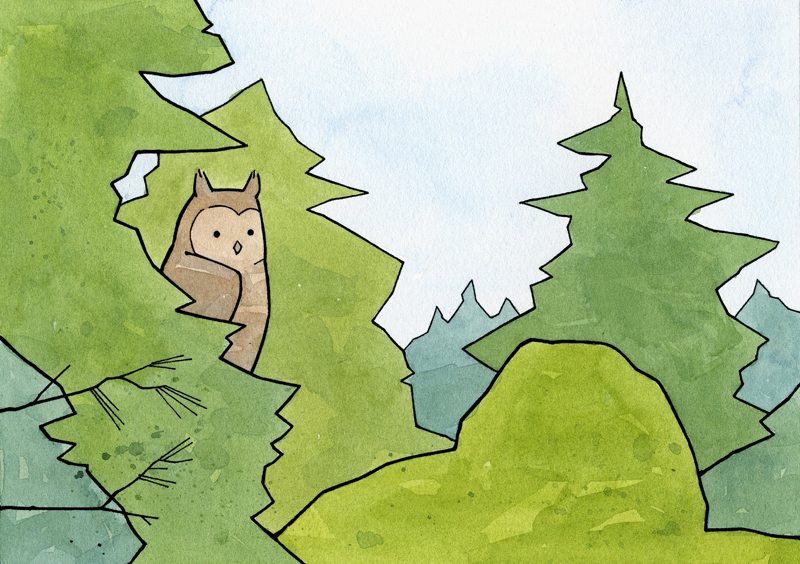 I’ve just finished up the last of 12 new illustrations. 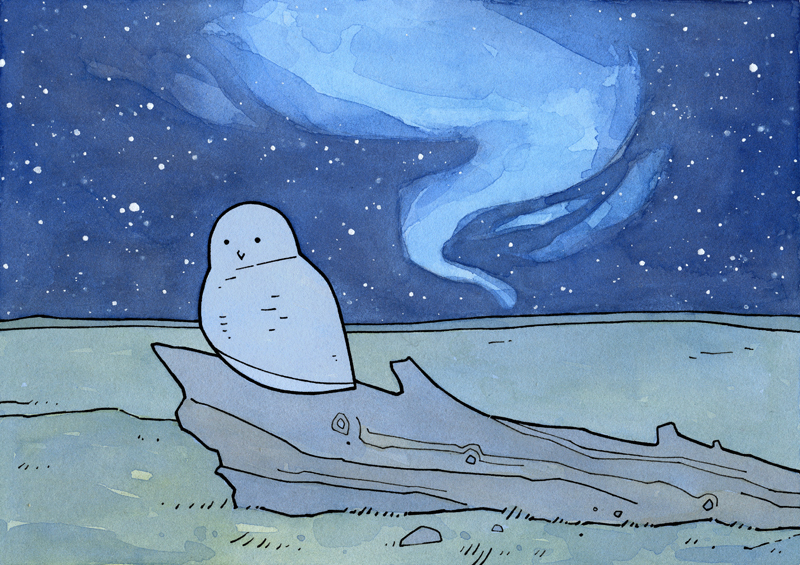 Below is a preview of a couple of the months – stay tuned as I scan and update the rest of them this week! 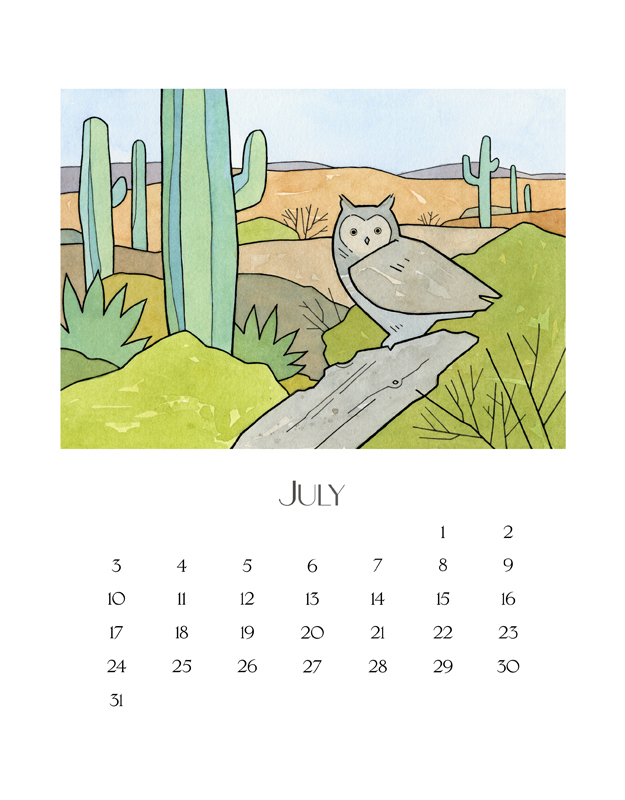 Below, the month of July. A Great Horned Owl in a Southwest desert landscape. As my previous calendars, it measures 7×9″. Loose sheets held with a metal bulldog clip. 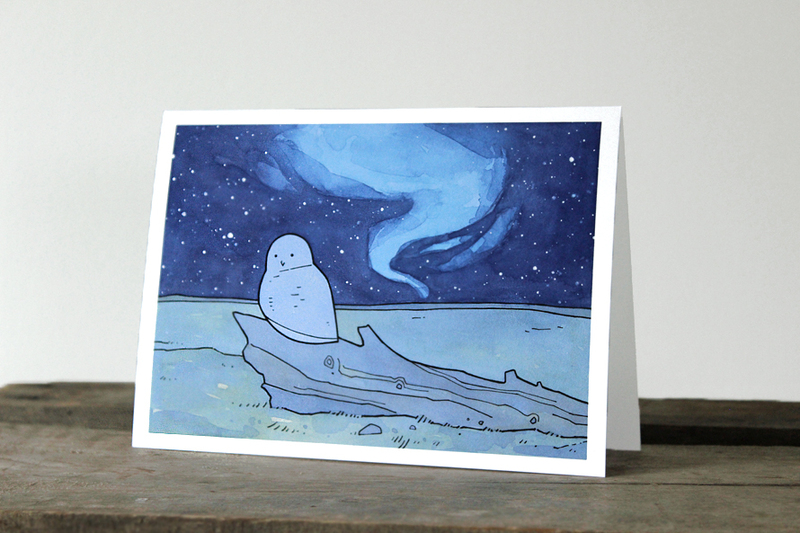 Printed on high quality, sturdy, 100% recycled paper! 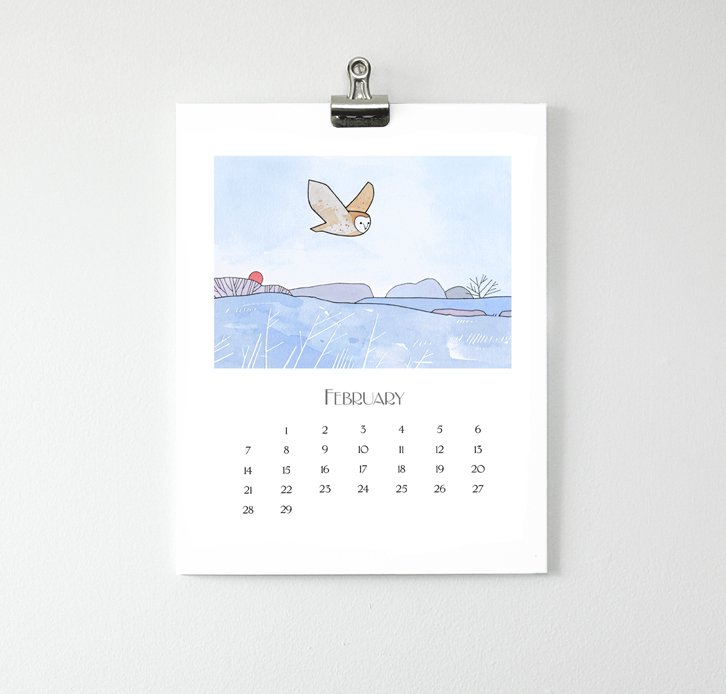 This year’s owl calendar is now up in the shop! All new illustrations from past years, plus some brand new illustrations that I will be featuring here on the blog over the next couple weeks. 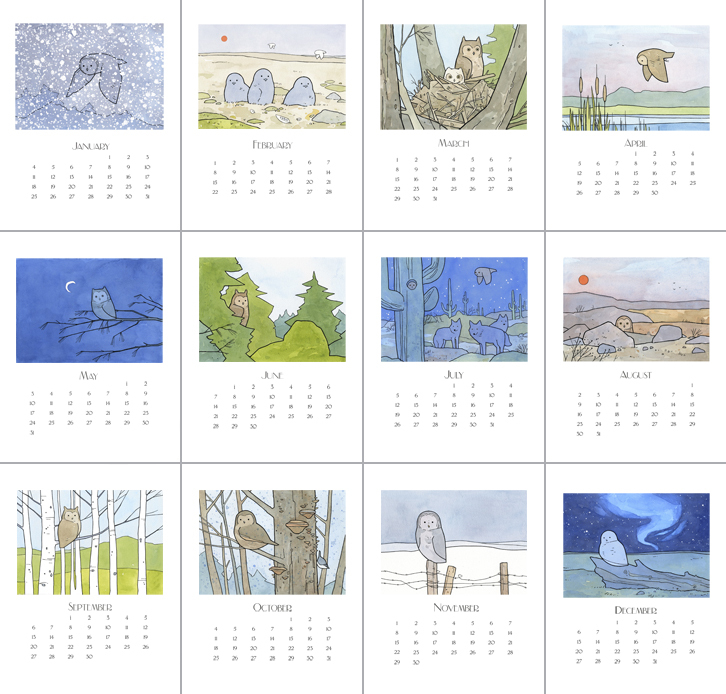 I always have fun selecting and drawing the different months. Have any favorites? I’m a little partial to July this year. I loved playing memory games growing up. 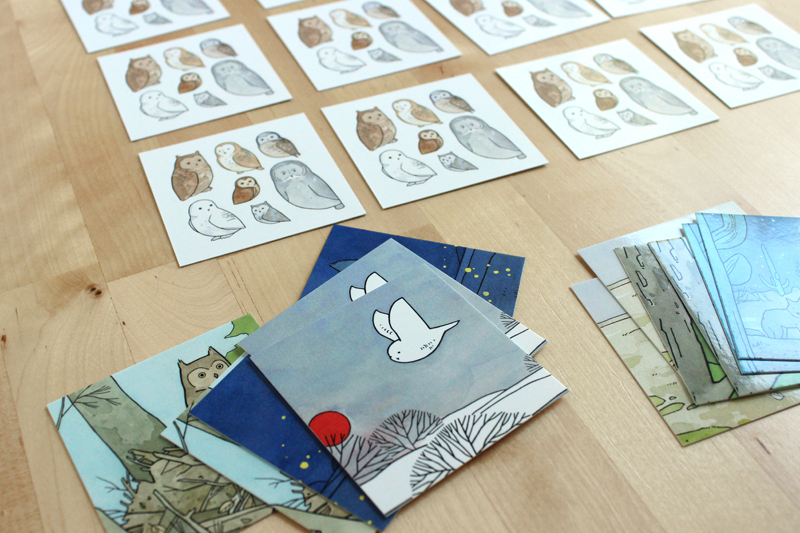 I had these owl memory game sets printed, and they’re now up in my shop! 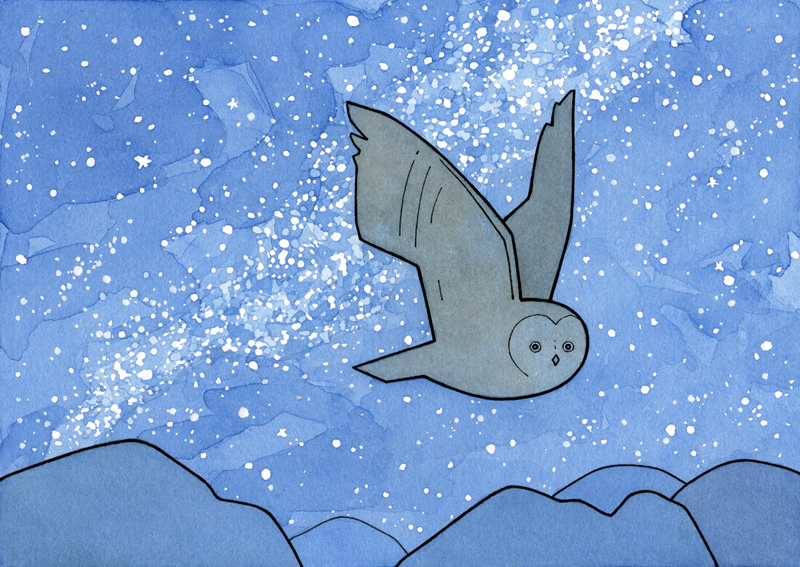 25 different illustrations (50 cards), featuring various owls and their environments. 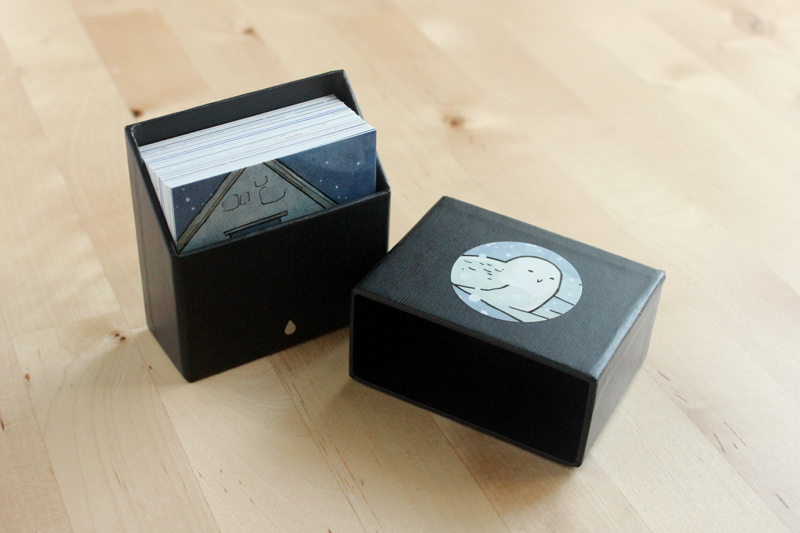 Packed in a little sturdy box, great for storage or travel. 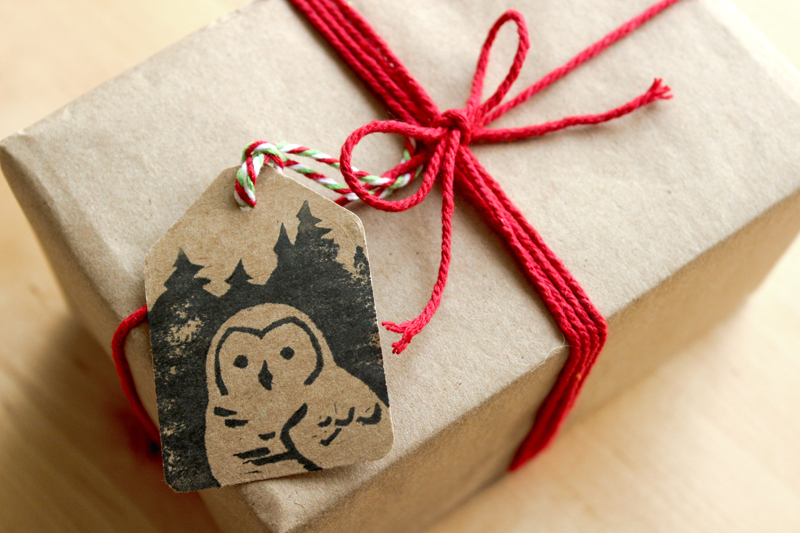 Hand stamped owl gift tags. Something a little different I did for the holidays. 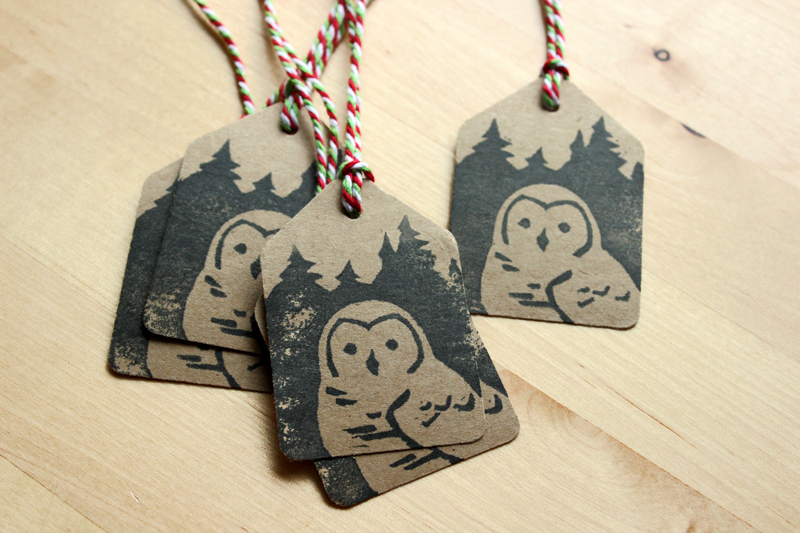 I had fun designing and carving the stamp for these.